The last few weeks have been surreal to me and the whole GEM Bulgaria team – an endeavour of ours has finally matured. We’ve been thinking long of a way to gather an impressive list of extraordinary thinkers, rainmakers and challengers in one place, where they could discuss the latest trends, successful national and global practices and bring awareness for the high potential sectors for competitiveness and sustainable growth. 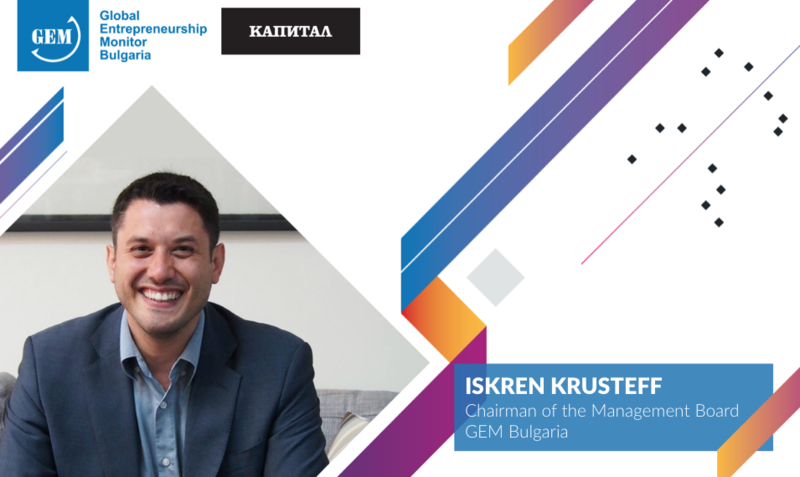 The result is here – the first GEM Bulgaria Annual Conference “Entrepreneurship: Trends, Impact, Growth” will take place on 3rd and 4th October 2016 at Rainbow Plaza, Sofia. Small, medium and large enterprise owners, international executives, serial investors, entrepreneurs, lawyers, communications experts, local and international public authority representatives, analysts and consultants, students, educators and many, many more – we’ve included a piece for everyone of them in our programme. As a result you will be able to excel in using the different elements of the ecosystem to create extraordinary value, as my good friend and global entrepreneurship expert Daniel Isenberg would say. If you’re reading this text, you’re among the first invited to book their place for the conference – to learn more about the current shape of the Bulgarian entrepreneurship ecosystem, what you can bring to it and what is waiting for you to be gained, see how the biggest local investors pitch the funds they manage, find out which are the growth creators in Bulgaria and the region, discover opportunities, network with our speakers and guests, and possibly meet your next business partner. Oh, and when I say “your next business partner”, I really mean it – our friends from Wolf Theiss will provide extra space for business meetings during the conference and if you decide to seal a deal they are there to help. I dare you to do that! Last but not least, I am grateful to all our sponsors and partners who made this event possible, especially our co-organisers Capital Weekly. I look forward to meeting you all. Join me at the most anticipated conference of the year, where our team have put all their heart and experience. See you on 3rd October!